Harry Potter and the Deathly Hallows: Part 2, the final instalment in the JK Rowling franchise, has joined the $1 billion (Â£610 million) club at the worldwide box office. The film, which becomes the ninth film to enter the club, is soon expected to pass Pirates of the Caribbean: On Stranger Tides, which is this year’s top grossing film so far at $1.03 billion. The last of the eight Harry Potter films about the young wizard is the first in the franchise to reach the billion dollar mark. The previous best global haul was $974.8 million for the original film, 2001’s Harry Potter and the Philosopher’s Stone. 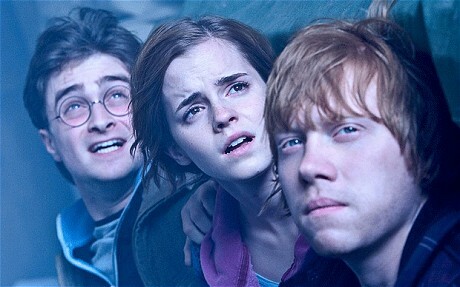 After taking $21.9 million in the US this weekend, Deathly Hallows: Part 2 climbed to a US total of $318.5 million. That passes the franchise’s previous best of $317.6 million for Philosopher’s Stone. But factoring in today’s higher admission prices, Deathly Hallows: Part 2 has not caught up to Philosopher’s Stone, the first in the Potter series, in terms of actual tickets sold. The 2009 film Avatar holds the record for the biggest worldwide box office haul, grossing $2.8 billion. It is followed by another James Cameron film, Titanic, which brought in $1.8 billion. Meanwhile, Daniel Craig and Harrison Ford’s science-fiction Western Cowboys & Aliens and The Smurgs both opened with $32.6 million, sharing the top spot at the US weekend box office. “In all my years, I’ve never really seen a race this close,” said Paul Dergarabedian, an analyst for box-office tracker Hollywood.com.